Courtesy of WOWSA, Tsurigasaki Beach, Japan. 66 km northeast from Choshi on the east coast of Japan is Tsurigasaki Beach (釣ヶ﨑海岸). While Choshi will be the starting point of Ben Lecomte's The Longest Swim, a 6-8 month stage swim from Japan to California starting in June, Tsurigasaki Beach will be the site of the surfing competition at the 2020 Tokyo Olympic Games. 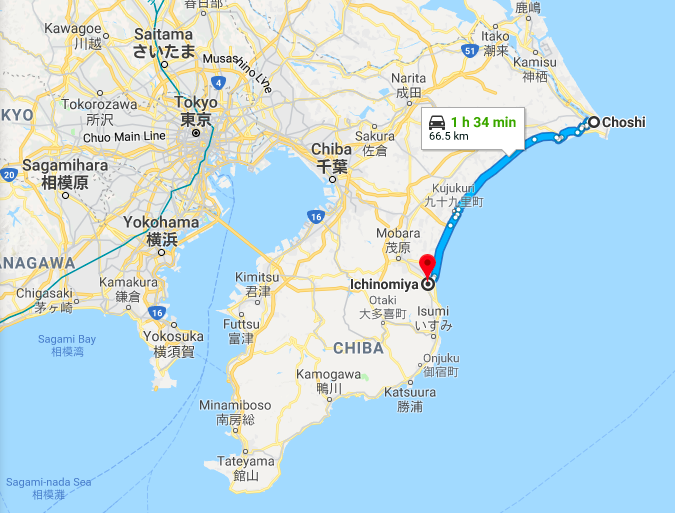 Both locations are in Chiba Prefecture, just east of Tokyo. And south of Tsurigasaki Beach is Tateyama City, site of the 10 km marathon swim at the 2018 Pan Pacific Championship on August 14th - and possibly the site of the 2020 Tokyo Olympics 10 km marathon swim in southern Chiba Prefecture. For a majority of fans, athletes and coaches flying into Japan's Narita International Airport, they can look out their airplane window and gaze down upon the waves lapping against the eastern-facing Chiba coast.